Patio Consultation - L.J. Hausner Construction Co. Servicing Southern California residents in Orange, Los Angeles, Riverside, San Bernardino and San Diego Counties with their Patio Cover, Patio Enclosure and Window needs. We are also proud to offer seniors Walk In Tubs, Safety Showers, and Stair lifts to keep them safe and independent in their home. If you have been thinking about enhancing your backyard with a new patio cover, THIS is the time to do it. LJ Hausner Construction Company is going to give you an excellent reason to finally make it happen. 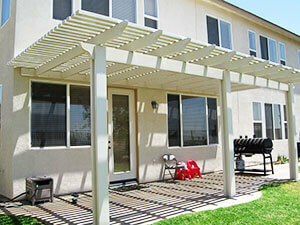 Our amazing patio cover special gives you hundreds off a full installation of a covered patio. 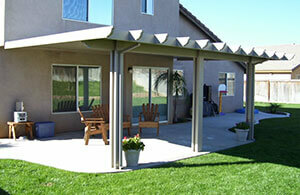 LJ Hausner Construction offers patio covers in lattice, flat pan and insulated. Transforming your current patio space will update your home to give you a new space to entertain and also provide your family a relaxing area to sit and enjoy the outdoors with friends and family. Call us today or submit information online to request your in-home consultation. The first step in completing your project is making sure you get an accurate quote. Fill out the form below. Required fields are marked with (*). Copyright 2016. L.J. Hausner Construction Company. All rights reserved.